I am thoroughly enjoying the promotional trail for A Light That Never Goes Out, in large part because I’ve been blessed by some excellent and opportunities and some wonderful companionship. On Friday evening, December 14, I drove up to Hudson to take a two and a half hour guest DJ spot on WGXC, the excellent (relatively) new public station that broadcasts through Columbia and Greene Counties and sadly doesn’t quite reach down to my own area of Ulster County. That said, of course, we now have the Internet, and not only did I have the fun of a listener tweeting in from Bristol, England on the night shift, but the station archived the show. The link is below. I have to tell you that, immense sadness and horror over the day’s massacre not withstanding, I had an absolut blast. I played music from across the entire spectrum of the last 60+ years, I played songs from the Smiths-related Song List I put together for the Large Hearted Boy web site, and I played many a 7″ single bought back in my childhood while also pushing some of my fave songs of 2012. I hope you enjoy it as much as I did. On Saturday December 15, I returned to Hudson for a book event at one of my favorite places in the country, The Spotty Dog Books and Ale. WGXC broadcast the first hour; being a book event, we started late of course (and partially so I could attend a candlelight vigil up the road) so in fact you only get 33 minutes. 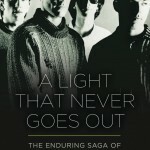 But if you can get through me talking, you will be treated to a staggering version of ‘There Is A Light That Never Goes Out’ by Terry McCann and Mike Piastro, who joined me for the event. Terry and Mike also played a lovely version of ‘Please, Please, Please Let Me Get What I’ and I will get both on YouTube soon enough. For now, let me treat you to Terry singing and Mike playing ‘Asleep.’ It was afforded extra poignancy due to the day’s events. Sunday December 17, the Washington Post reviewed the book. The reviewer had some reservations, and they are stated fairly, and professionally, which is all that an author asks. And then today, Monday December 18, I am off to New York City for a double-header. At approximately 3pm EST, I will be appearing on Andy Rourke’s radio show on East Village Radio. 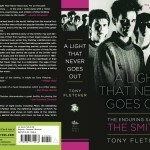 Andy, of course, was bass player in the Smiths and was interviewed extensively by me for the book. 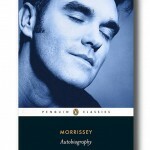 This will mark the first time that I’ve been interviewed by someone I interviewed for a book. It should be interesting! Being the modern age, you can of course tune in live online. At 7pm, I will be at the famous Strand Books on 12th and Broadway, reading from the book and then engaging in a discussion with host Matt Pinfield, who should need no introduction either to my readers or my wife! I trust the event will be as well attended as the three that have preceded it, and also as entertaining. Please make it down there if you can, it’s the last one lined up in NYC for now. ($10 Strand voucher or purchase of my book required.) I imagine we will manage to archive it otherwise.